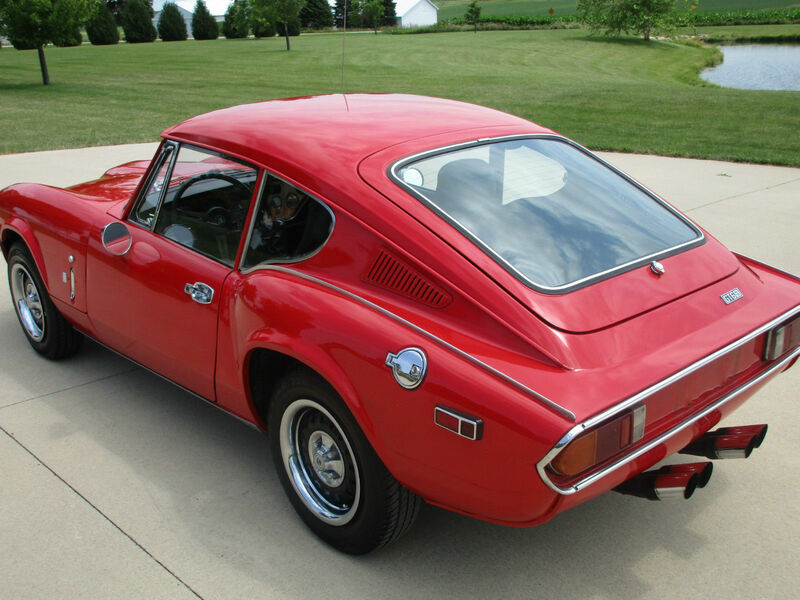 Find this 1972 Triumph GT6 MK3 here on eBay bidding for $10,100 with auction ending today at 12:48PM Pacific. 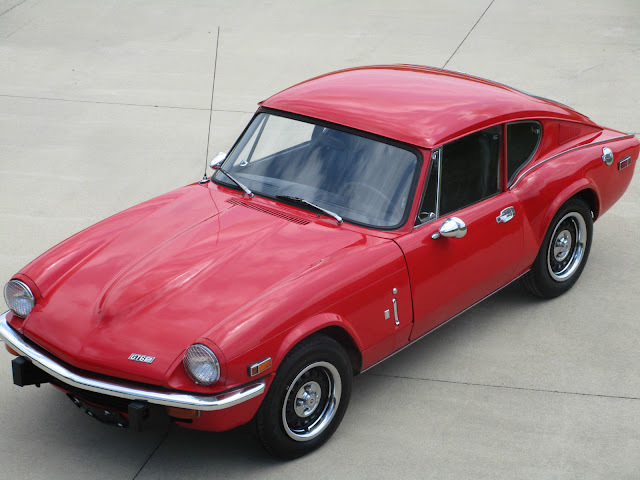 NO RESERVE.... A RARE 1972 TRIUMPH GT6 MK3 4 Speed. 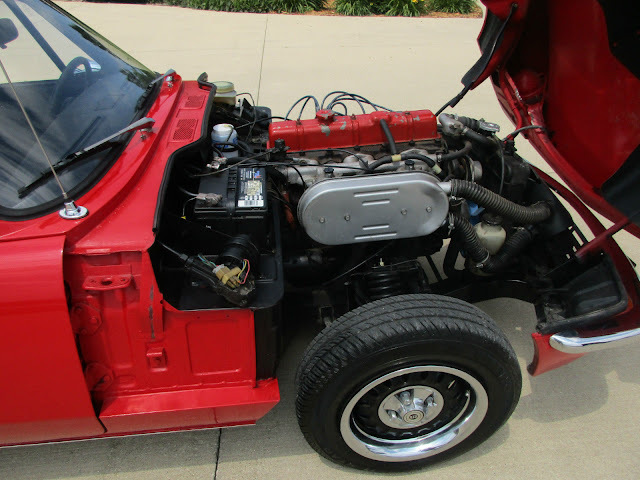 6 Cylinder engine with odometer showing 61355 miles, but unable to confirm actual miles. Has lots of paperwork and spare parts that are included. Interior is in overall very nice original looking condition. Dash is showing no cracks and in very nice shape. No rust showing on the body and underneath looks nice. Tires and rims are in very good shape..
Local pickup only and I will help with the shipper of your choice. Car is located at my house in Reinbeck, Iowa 50669. 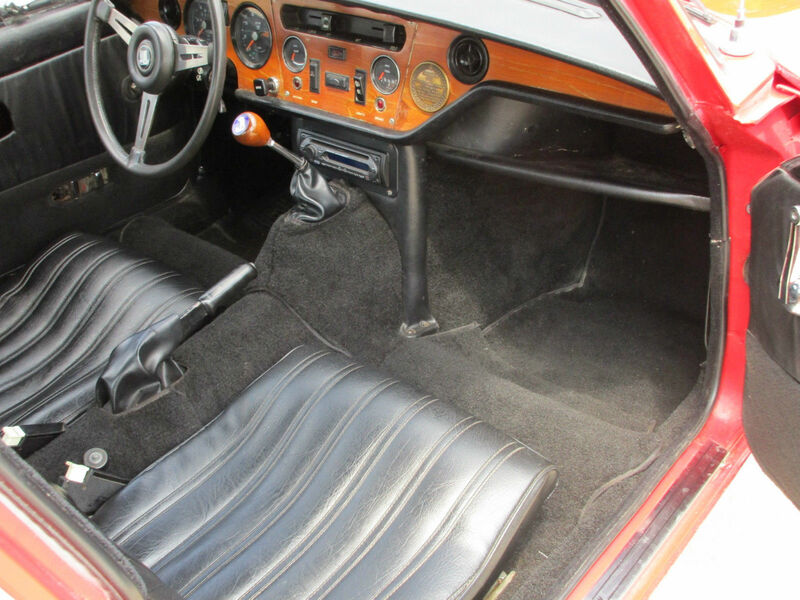 On Jun-28-16 at 12:55:41 PDT, seller added the following information:The triumph also has a new starter, new fuel pump, new oil and filter, new master brake cylinder, new plugs and distributor cap, new wiper blades, new shocks and springs on the front, new exhaust as well as new chrome exhaust tips. This car is ready to enjoy. The triumph fires right up and purrs like a bumble bee with the new exhaust. Very cool nice car..
Wow, what a babe! I see the listing has disappeared, it must have ended early. Must have sold for north of 10k. Was that a Giovanni design? Looks like it. Professor -- sorry, it was a bad link. Fixed it now! Still live, at $10k with 2 hours to go. $11K is "all the money" for one of these. They have come a long way from the $2K beaters they were 10 years ago. Still, for that much I'd want an MK1, which is prettier.